Thunderbolt Business Services specializes in marketing for manufacturing. They work closely with contract manufacturers (CMs), original equipment manufacturers (OEMs), and technology companies who want to harness the power of content marketing. Thunderbolt also provides manufacturers with tradeshow support, social media marketing, search engine optimization (SEO), and email marketing services. Unlike other marketing agencies, Thunderbolt can “speak manufacturing” and understands the needs of industrial designers, product engineers, sourcing managers, purchasing agents, and C-suite personnel. They also appreciate the value of trusted relationships and the importance of focusing on core competencies. 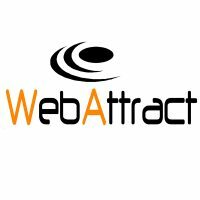 Creative Mindscape is proud to have WebAttract as its trusted webinar partner. WebAttract is an end-to-end webinar solution for clients who want to attract, engage and convert more of their prospects into customers. WebAttract handles all the logistics for webinars, including audience recruitment, content development, executive production, and post-webinar follow-up. Your webinar producer will also schedule rehearsals, so everyone will be on the same page for production day. Spark Hub helps clients use modern technologies to improve the way they work. Their flexible approach of being able to operate as a client's virtual CTO, change project manager, IT Support team or solutions implementer as required, enables them to provide technology expertise while Creative Mindscape provides the marketing fulfillment pipeline. This CTO/CMO partnership allows clients to meet resourcing demands without having to find full time sales, marketing and IT resources. Our collaborative expertise includes technology strategy, business transformation, cloud services, managed IT services, mobility as well as a range of business applications (CRM, ERP, Billing, Finance, eCommerce, document management and collaboration solutions). Endorphin Advisors LLC is a unique, award-winning marketing firm. Since 2005, it has specialized in marketing strategy, website development, marketing technology, branding, inbound marketing and business planning. The team at EA enjoys close working relationships with a number of marketing technology companies, including Constant Contact, PromoRepublic, Results CRM, Abacus Next, Robly and Hootsuite. Endorphin Advisors is known for its knowledge of business, passion for marketing and love of technology. Kim Lloyd is the founder of Latham Group Consulting, a firm that has helped clients in multiple industries design and build everything from small brochure websites to large-scale, interactive web portals. The team at Creative Mindscape has worked with Kim for over a decade, and we consider the advice she has always been willing to give. Before starting her consulting company, Kim founded Rock the Deadline, was COO and VP of Marketing at Bright Hub, Director of Operations and Enterprise Products at GlobalSpec, and Product Manager and Product Marketing Manager at MapInfo. Kim holds a Bachelor’s of Science in Information Systems Management from SUNY Buffalo State and an MBA in Management and Technology from Rensselaer Polytechnic Institute. Ray Bell is a founder and lead consultant at Intec Business Solutions Ltd. He is an experienced CTO and Change Management specialist with a background in both fast growth SMEs and large corporate organizations including Vodafone, United Utilities, Talk Talk, Blue Energy, JCW and PCMS. His earlier career experience in running business operations, service delivery, customer support and IT delivery functions has evolved to focus on technology driven business change. Through designing joined up technology solutions, efficient business process and integrated business applications, Ray and his team are able to ensure Creative Mindscape clients are able execute their digital transformation strategy and focus on their sales plans without the distraction of delivery challenges and growing pains. Tracy Taylor originally started out her career at the Official Receivers in Sheffield in 1989. Tracy joined Finnie & Co in 1992, which subsequently became BDO Stoy Hayward. She progressed her career to equity partner and left due to the national practice regionalizing. Abbey Taylor has saved many medium-sized businesses and some household names. They always reach the most appropriate outcome that is favorable for both creditors and employees alike. Tracy brings “Big 4” background experience linked with her own knowledge of the insolvency and accounting sector to Creative Mindscape. John Baines has built his career with some of the top performing agencies in the UK. At Reason Digital, John was a team member and socially-motivated project manager building award-winning digital media projects to help make the world a better place. Clients included national charities, the BBC, universities and local government. He helped these organizations use digital media to cost-effectively engage new service users, funders and volunteers with the good work they're doing. Previously John headed up the digital channel at Lad Bible, a name synonymous with the explosion of all things content and digital in the UK over the last 5 years.